Cattle used to graze the banks of the Madurta creek. In 1972 the surrounding area was subdivided for housing with the proviso that an open space be set aside. Madurta Reserve came into being. 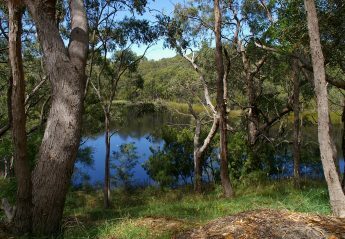 Since 1983, local residents have successfully opposed various development plans and ensured the reserve remains in the hands of the community as a viable natural open space. Friends have protected emerging Eucalyptus rubida (controversially believed to be E. dalrympleana variety dalrympleana) seedlings, carried out revegetation and weeded in the bushland areas. 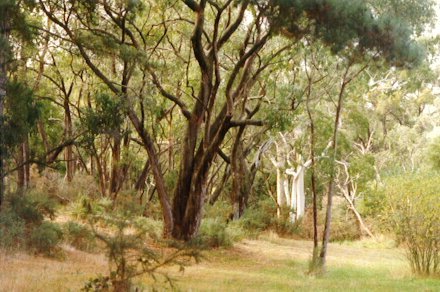 E. rubida grow in the high rainfall areas of the Adelaide Hills. A stand of these trees exist at the entrance to Madurta Avenue and have heritage protection. Significant planting along the creek has been undertaken in the past few years, and the young plants have really taken off. Madurta Reserve is connected to the other reserves by established walkways.